Adult coloring for cubicle dwellers. The creator of the viral sensation "10 Tricks to Appear Smart in Meetings" (5+ million views and hundreds of thousands of shares) helps you color away the stress with a coloring and activity book that will have you in stitches. Color in mind-numbing illustrated corporate idioms, such as the "deep dive," the "low-hanging fruit," and other buzzword coloring activities. 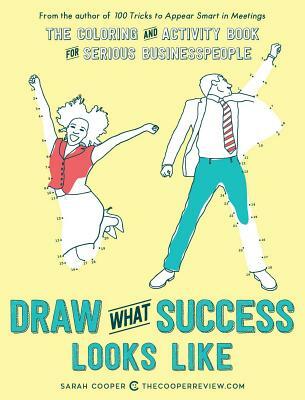 Draw what success looks like; make it a Venn diagram. Find your way through the comfort zone maze and the unlock your potential maze. Write headstones for the good idea graveyard. Includes meeting survival guide coloring checklist. Plus mad libs for resignation letters, post mortems, peer reviews, and scathing manifestos.